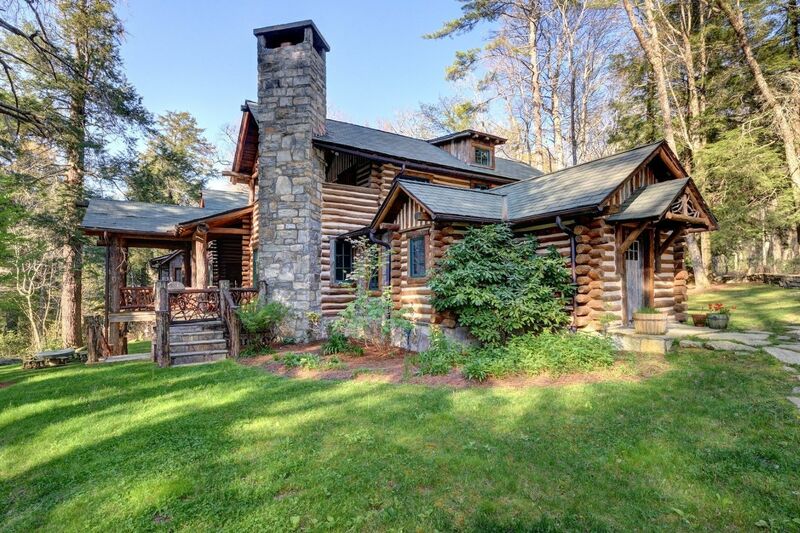 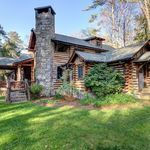 In the 1920s and & ’30s, Joe Webb designed and built around 36 singular log cabins and frame houses in the Highlands NC area, many of which are now on the National Historic Registry. 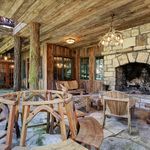 Surrounded by lush rhododendron and mountain laurel, these rustic dwellings capture the essence of summertime in the mountains of the south. 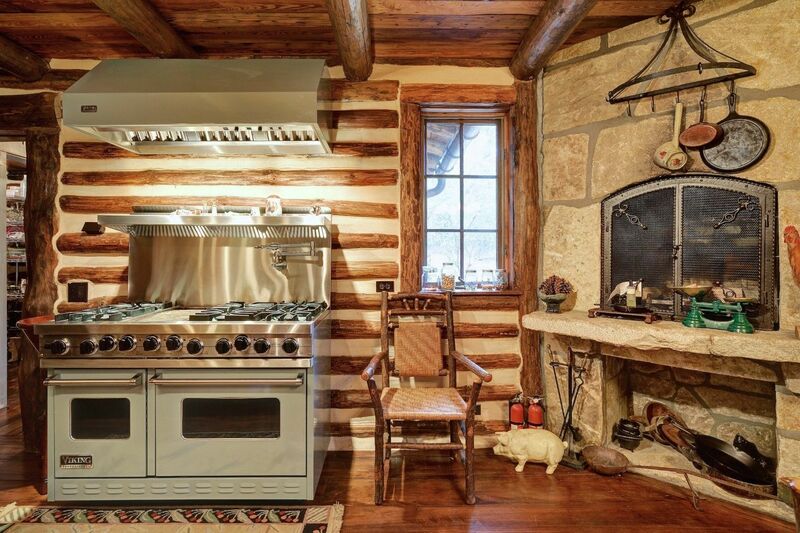 Their simple interiors center on large stone fireplaces which set the tone for the dwelling. 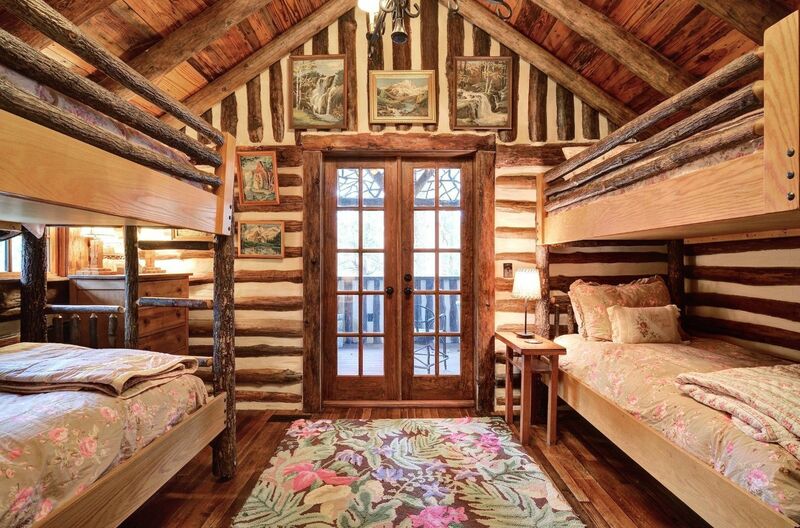 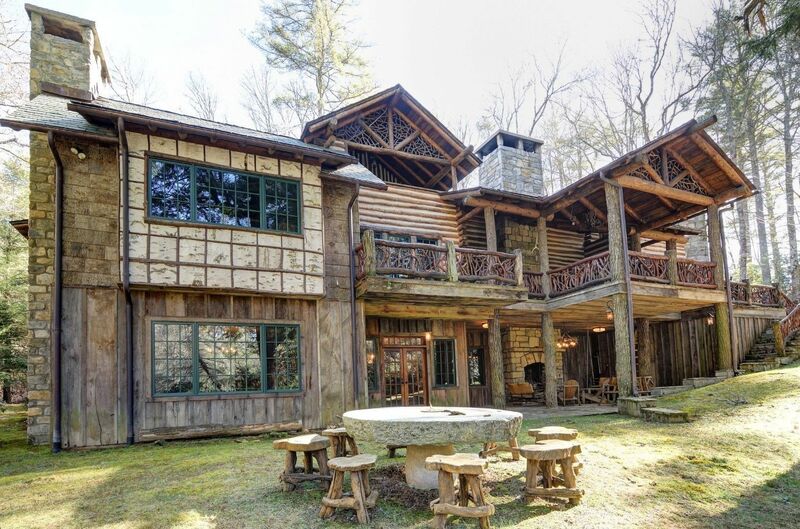 Webb built the homes entirely by hand, without power tools. 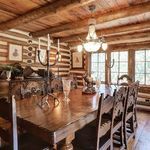 Instead, they used crosscut saws, adzes for corner notching and draw-knives to debark the logs, which were either local chestnut or pine found near the work sites. 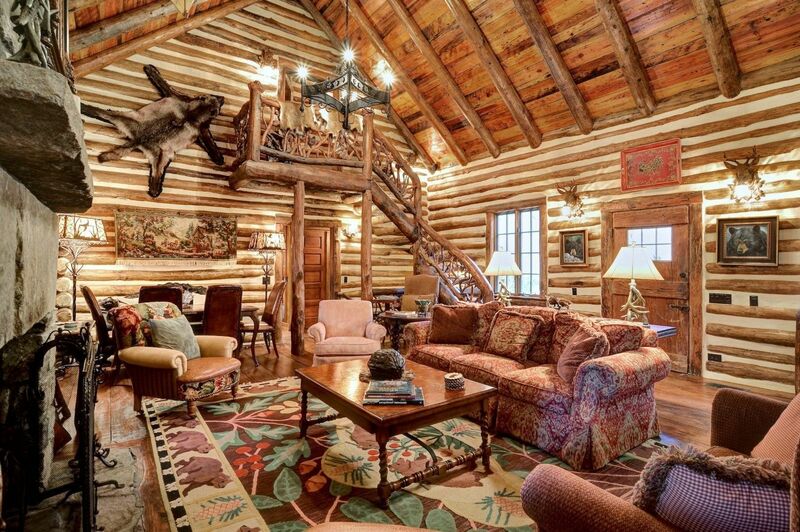 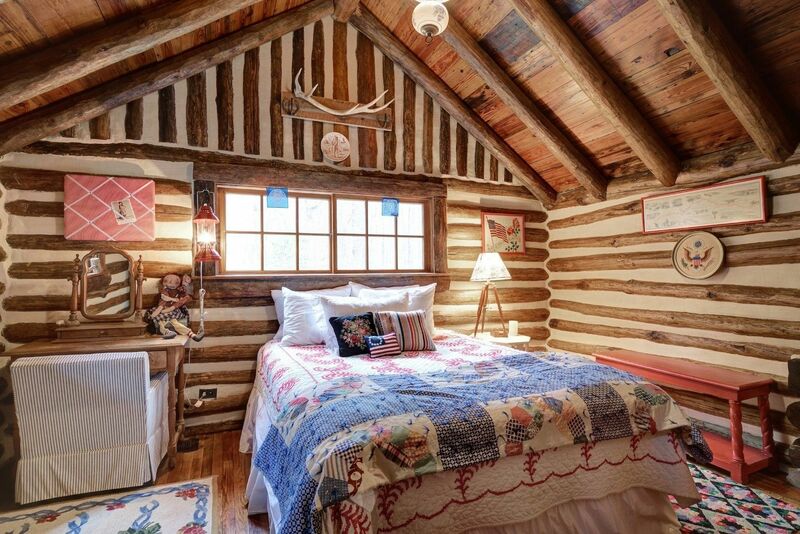 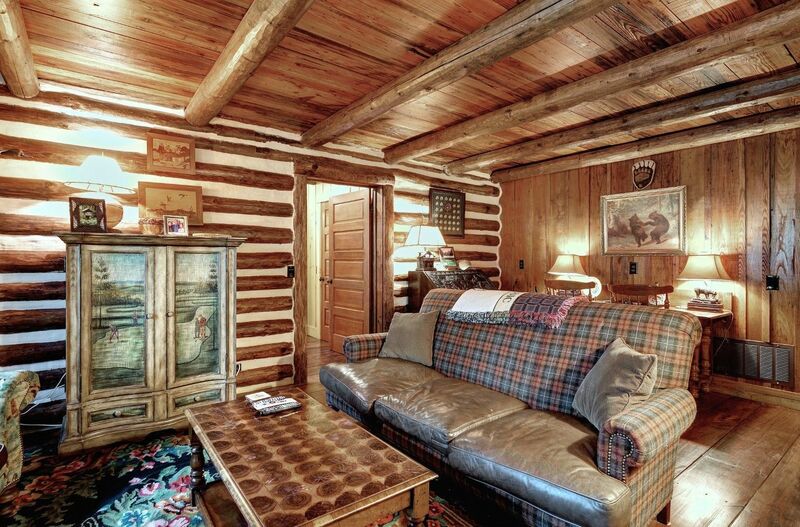 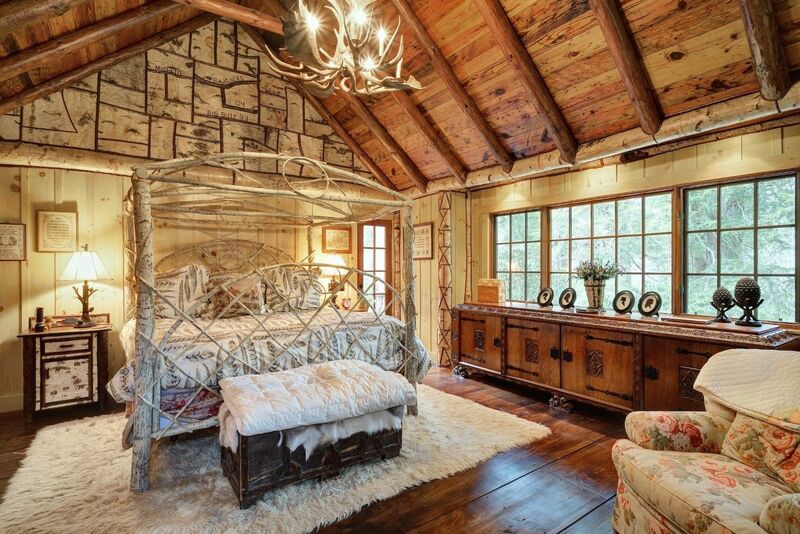 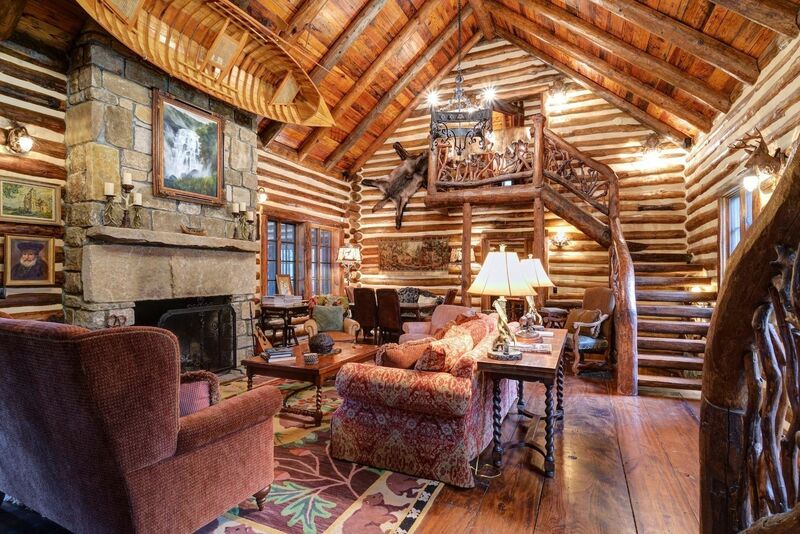 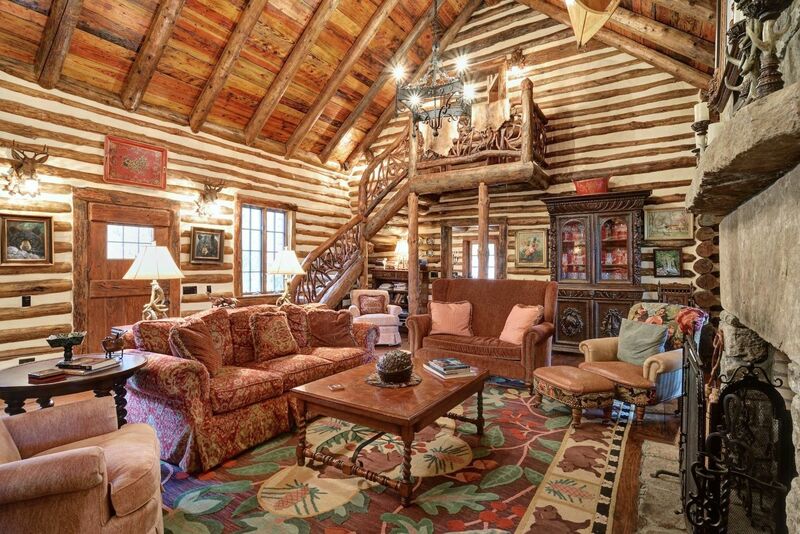 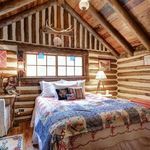 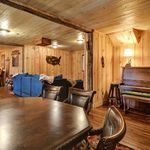 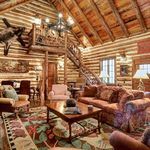 “Big Billy” is offered for sale for the first time since it was relocated from the top of Billy Cabin Mountain by Tommy Chambers in 2005 and expanded to the perfect mountain home that it is today. 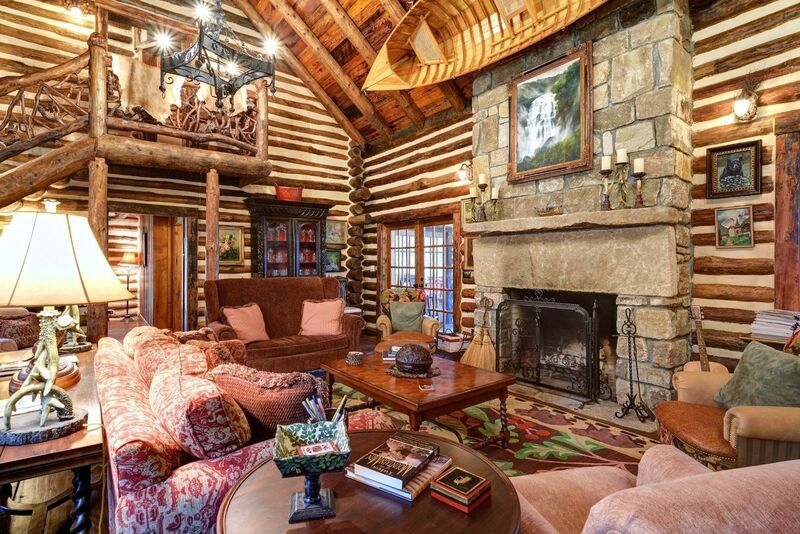 Built for the Randall family, along with a second cabin – Little Billy – Tommy found the ideal location for it on Pinky Falls. 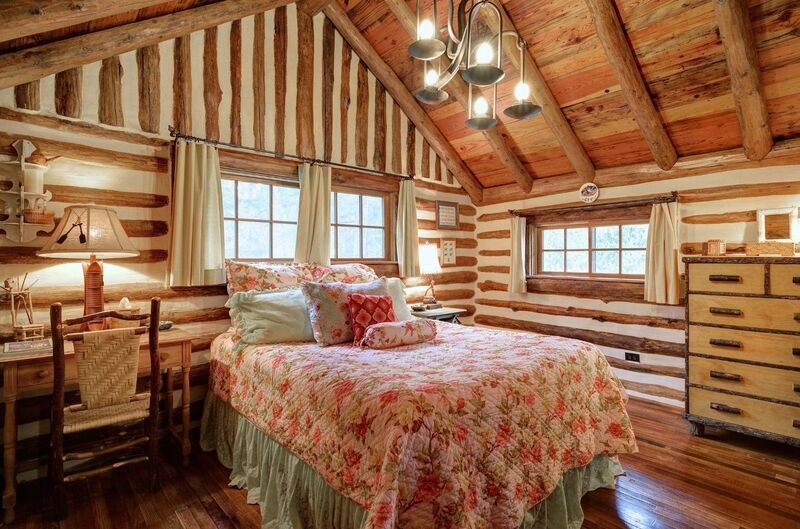 Perfect because Pinky the nickname for Mrs. Randall. 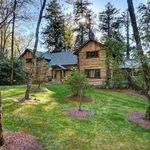 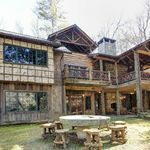 The magnitude of this quality home with stream frontage combined with over 23 private wooded acres, allow for several possibilities. 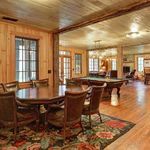 Corporate retreat, vacation rental and personal hideaway are just some of the opportunities available. 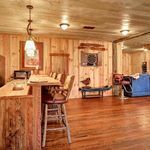 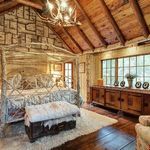 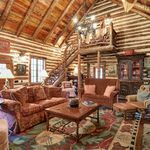 This stunning log home has 6 bedrooms, 5 full and one half baths and huge family/game room all with finishes and attention to detail that are apparent at every turn. 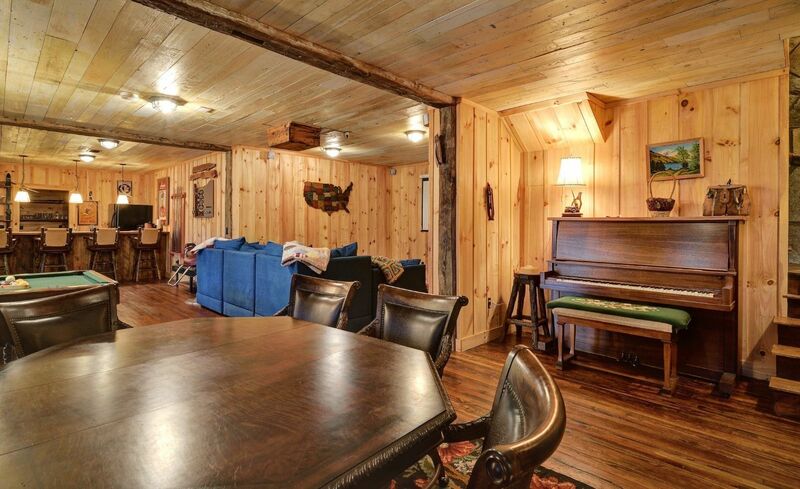 Located down a long gravel driveway, you would never know what a special home awaits you. 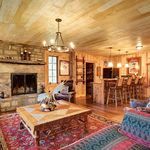 The living room is the epitome of rustic elegance and has vaulted wood ceilings with two beautiful chandeliers and signature floor-to-ceiling stone fireplace, all complimented by beautiful hand crafted wood flooring. 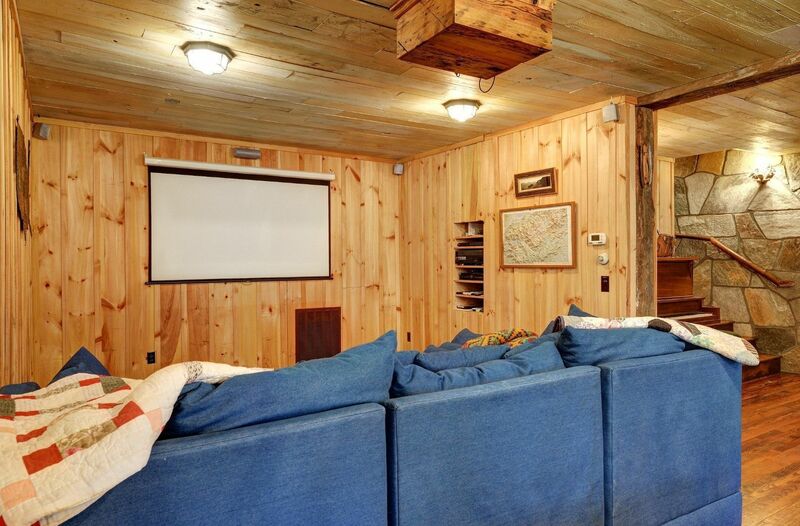 On either end of the living room are staircases, each of which leads to two upstairs bedrooms with jack-n-jill bathrooms. 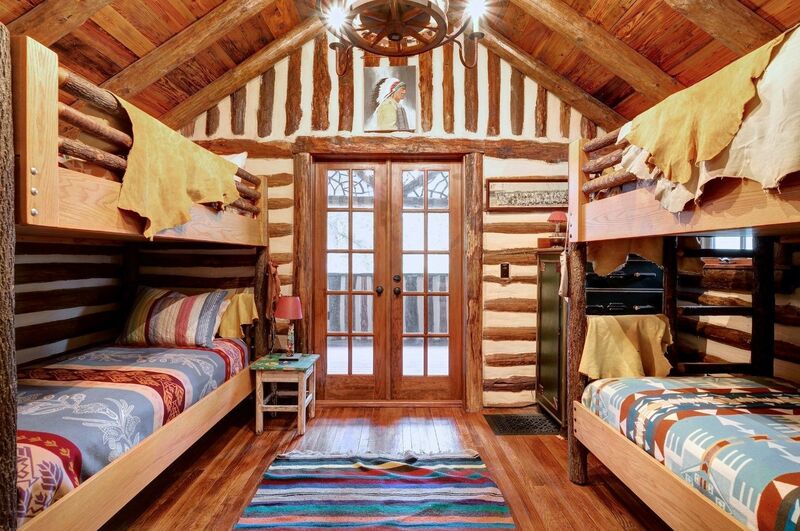 On both sides of these upper bedrooms there is a private vaulted balcony for the enjoyment of guests. 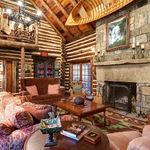 The main floor features a large master suite with vaulted ceilings, native stone fireplace and access to the large covered deck. 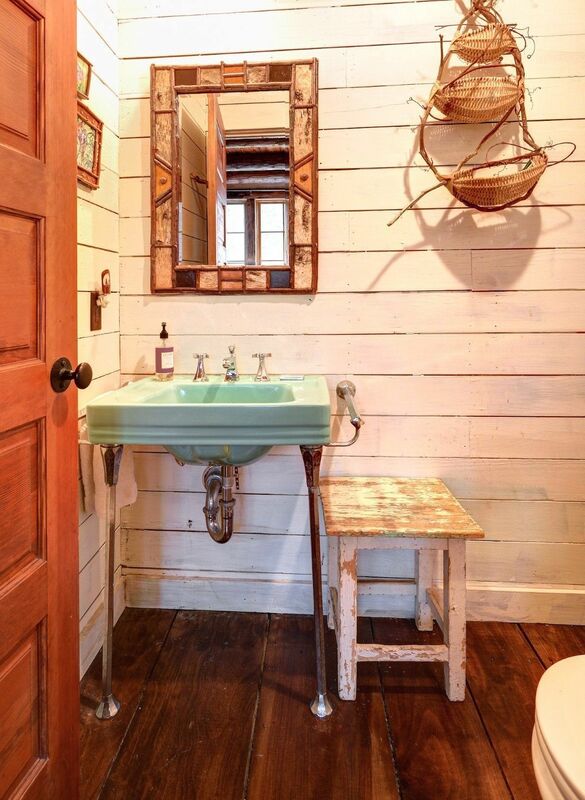 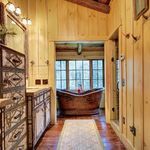 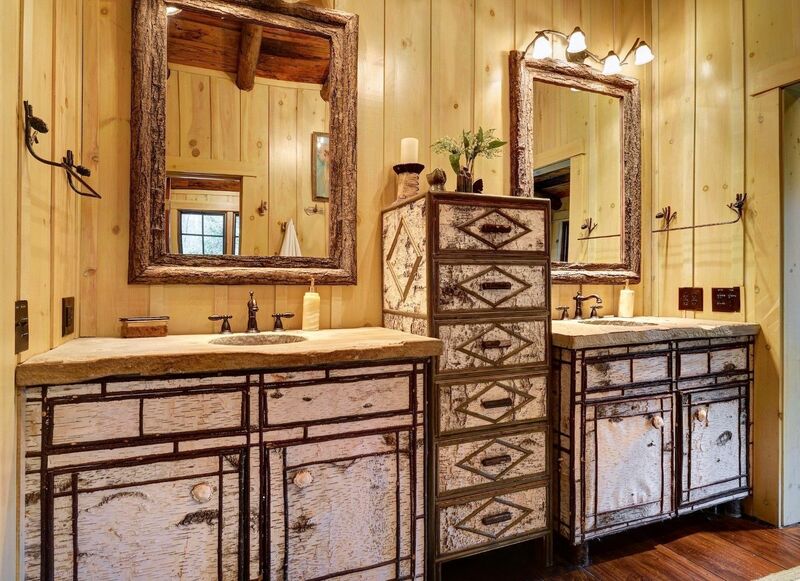 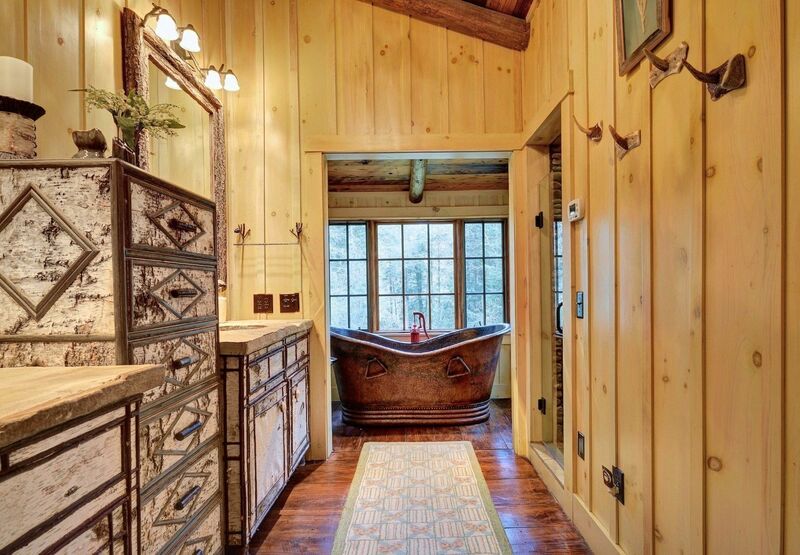 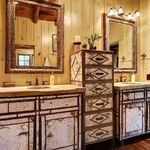 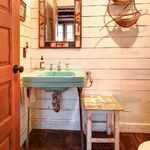 The fabulous bath is complete with rustic cabinetry, granite vanity tops, a stone shower and hammered copper soaking tub with old fashioned pump faucet. 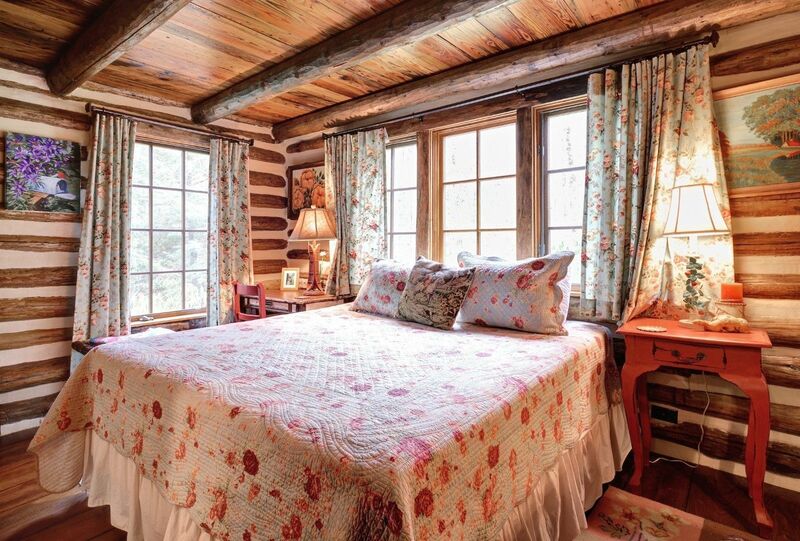 Just outside the master suite is a cozy sitting/reading room, perfect for relaxing in the evening before bedtime. 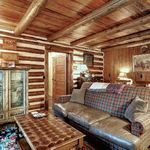 The main level also boasts a great in-law or guest suite which has easy access to the living room and kitchen. 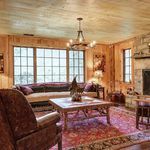 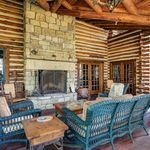 The kitchen, living room, master suite and master sitting room all have access to the spacious covered deck with its large stone fireplace, the ideal area for entertaining guests who want to enjoy the cool mountain air without getting chilled. 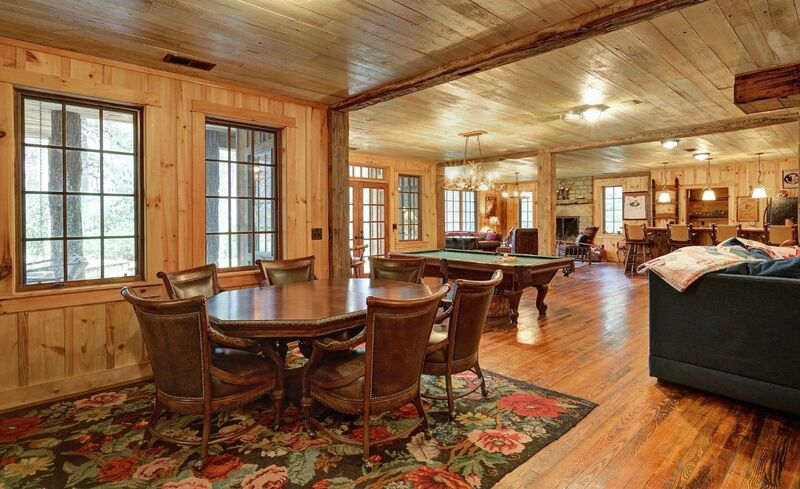 The lower level has a spacious club/lounge which features a full-size pool table and bar. 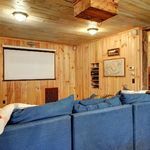 Along with a comfortable home theater area, the large wet bar has a full-size refrigerator and pantry, and again, is perfect for entertaining. 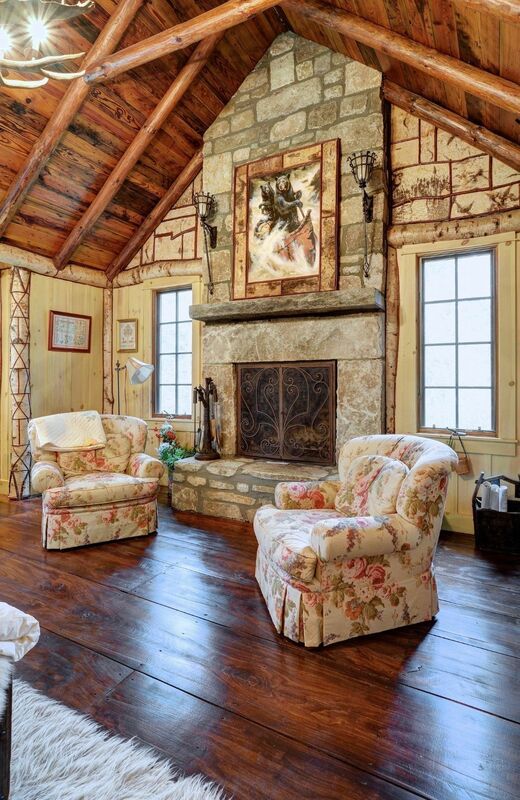 In a corner is a very comfortable seating area centered around the stone fireplace. 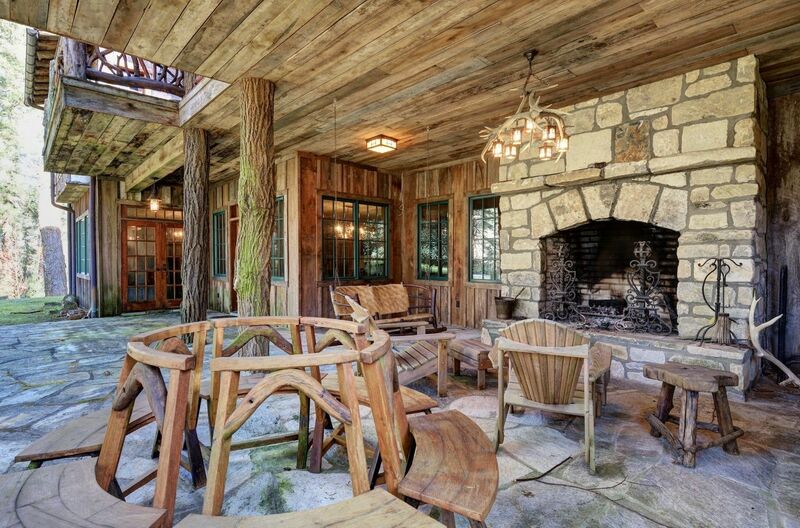 The lounge opens to a stone patio, it too with fireplace. 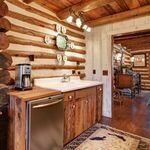 This level is perfect for families with small children because the land is level and perfect for play. 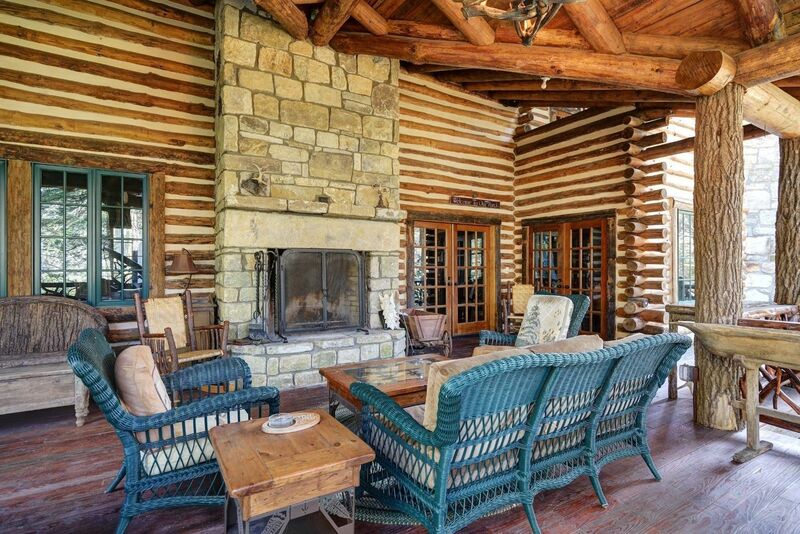 On the lawn there is also a huge millstone set on a pedestal which serves as a table with seating for at least eight people. 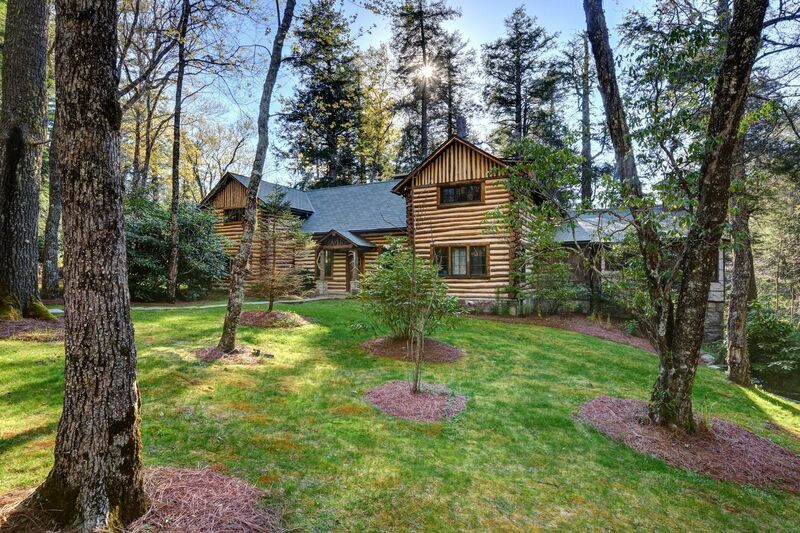 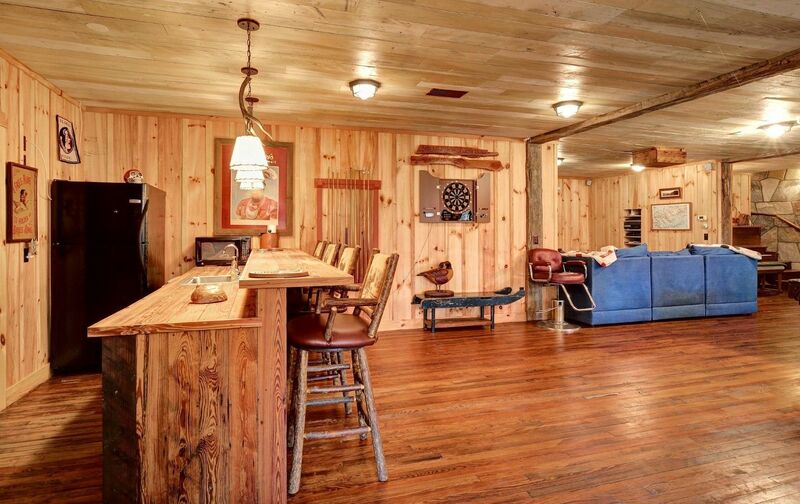 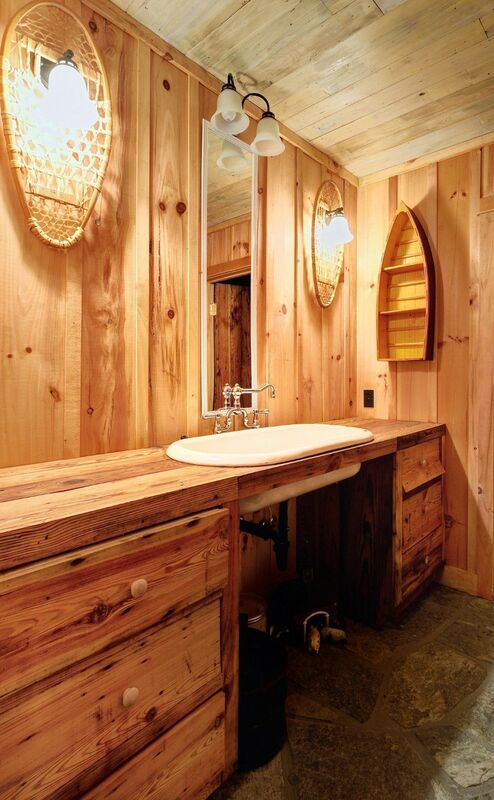 If you are looking for a mountain home like no other, look no further. 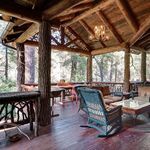 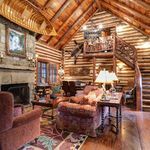 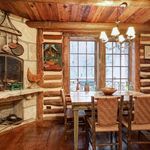 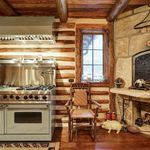 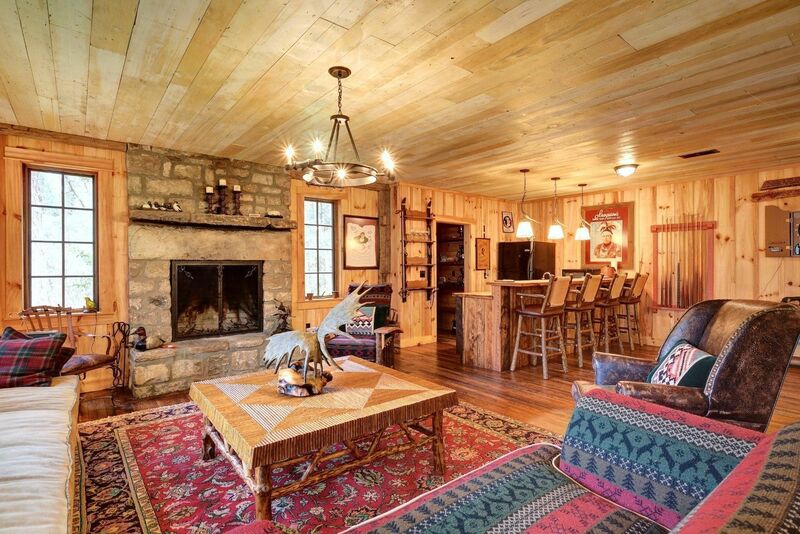 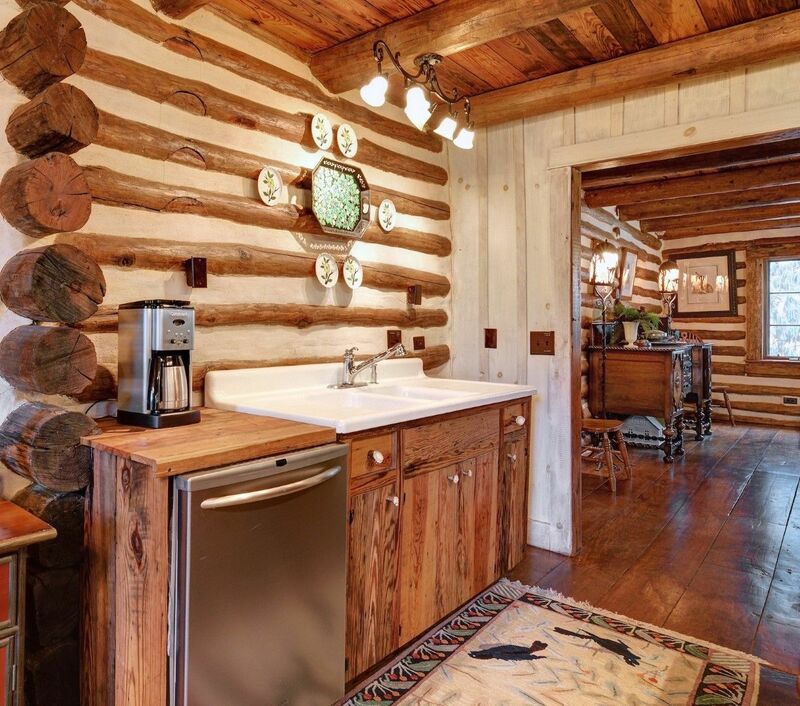 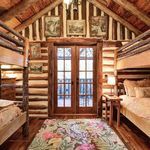 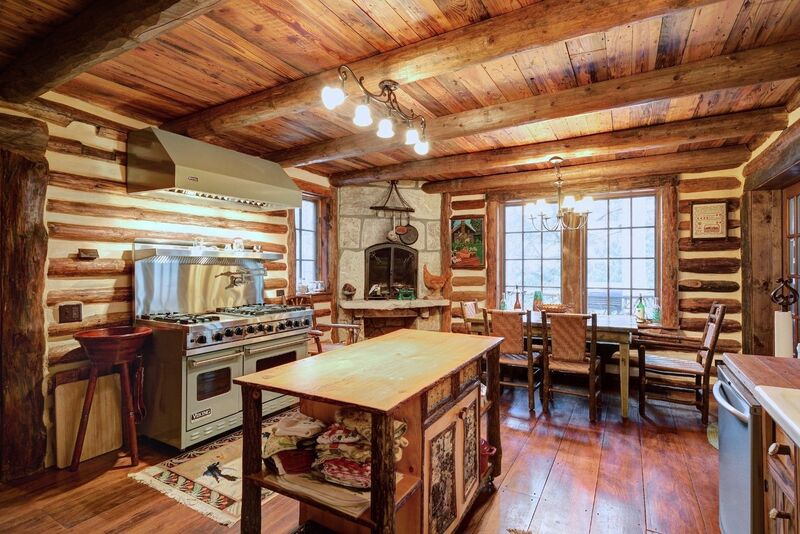 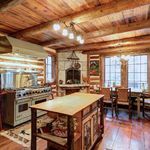 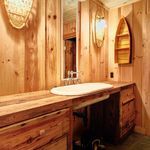 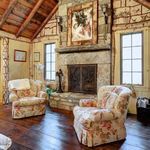 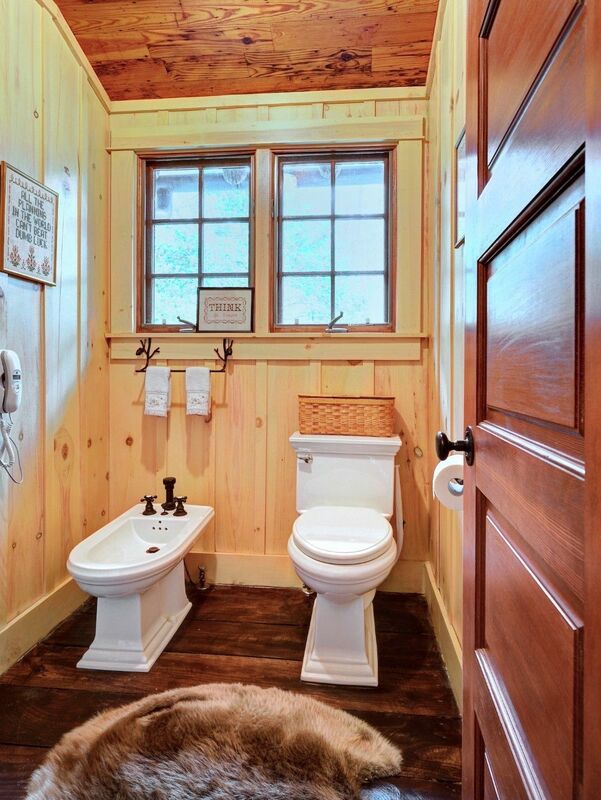 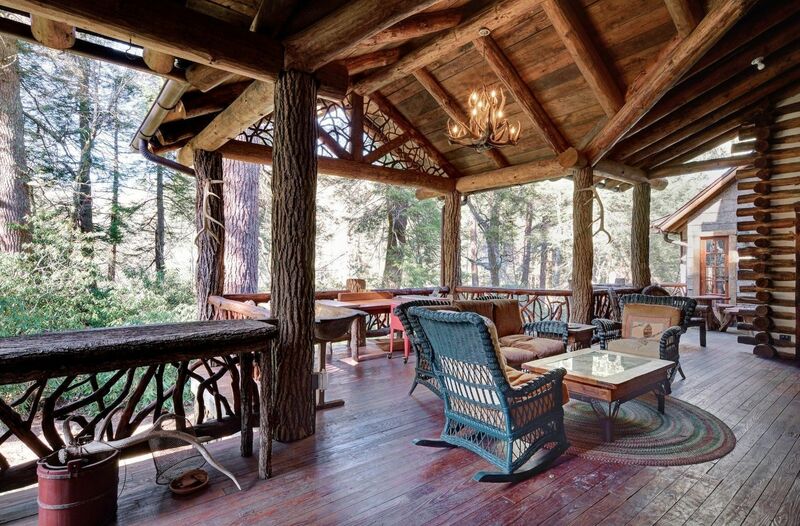 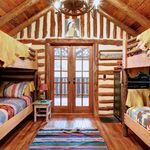 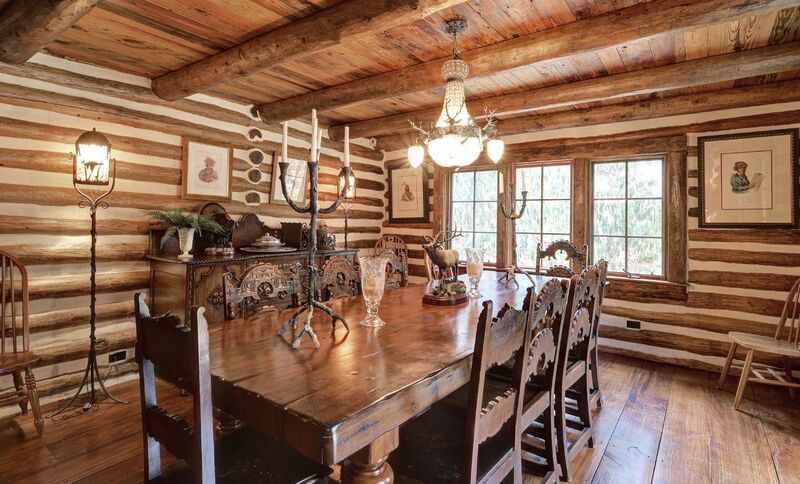 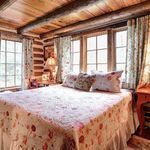 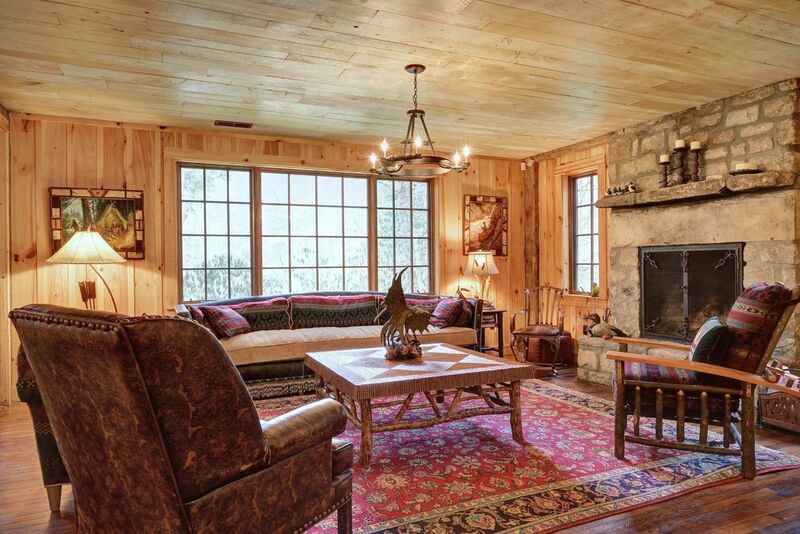 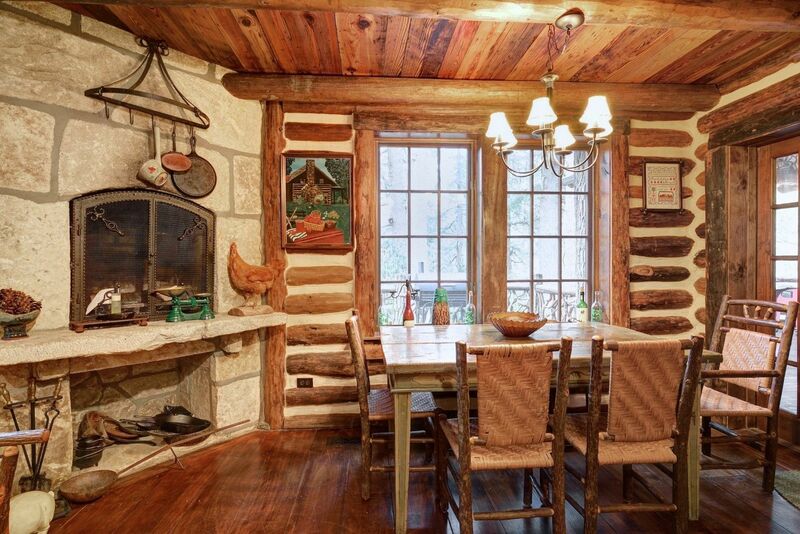 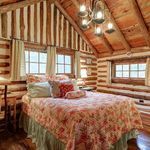 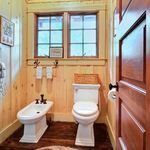 This home has all the features of a 21st century mountain home that master builder Tommy Chambers would include yet retains the ambiance that Joe Webb dreamed of when he built this wonderful cabin almost a century ago.